I recently did a write up about the Essence Beauty Blogger event where I picked up so many beautiful different Essence cosmetics. 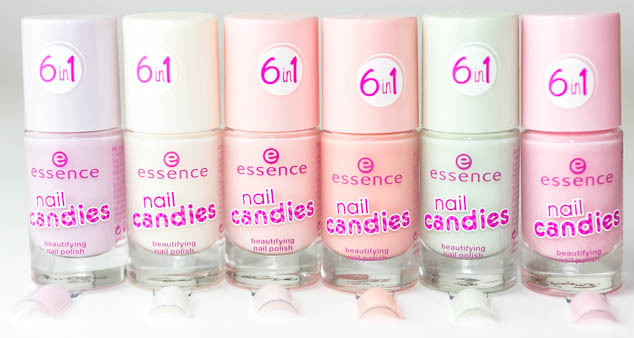 One of the ranges that really caught my eye were the Essence Nail Candies. 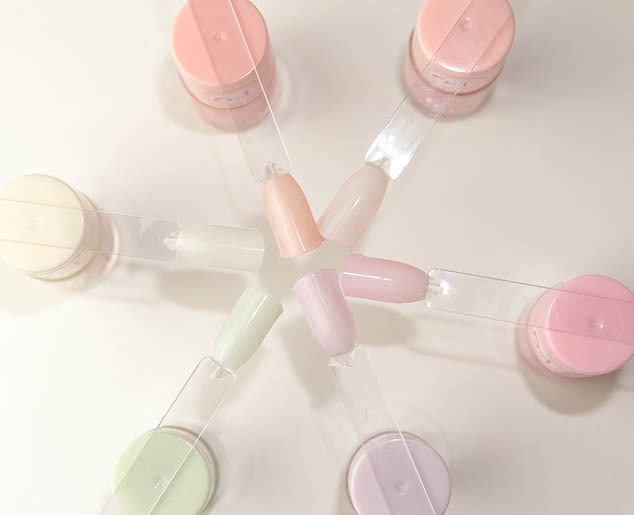 Subtle toned polishes that look so pretty and have a prefect pastel shade for this season. 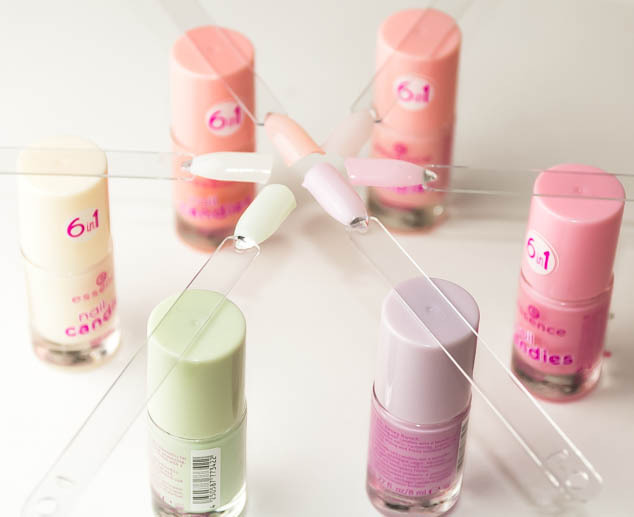 The pink shades, numbers 1, 3 and 6 are very similar shades, number 1 is a very pale pink, 3 has orange and peach tones and 6 gives a baby pink shade. Number 7 has a marshmallow creamy white shade and looks lovely with the subtle shimmer. Number 2 and 5 have the most contrasting shades, number 2 gives a pale mint green whilst number 5 is a very light lilac. The polishes are very sheer, in the pictures I had to apply 4 coats to achieve this shade. They are great for a subtle sheer tone but layers will need to be built up to achieve coloured coverage. Until layered up some of the more pinky toned polishes look very similar shades. The Essence Nail Candies have a really nice soft shimmer to them and unlike most nail polishes smell really nice, slightly fruity when dry. On the bottles they say 6 in 1 as their benefits including their scent are hardening, protecting, ridge filling, fast drying and a high gloss finish. 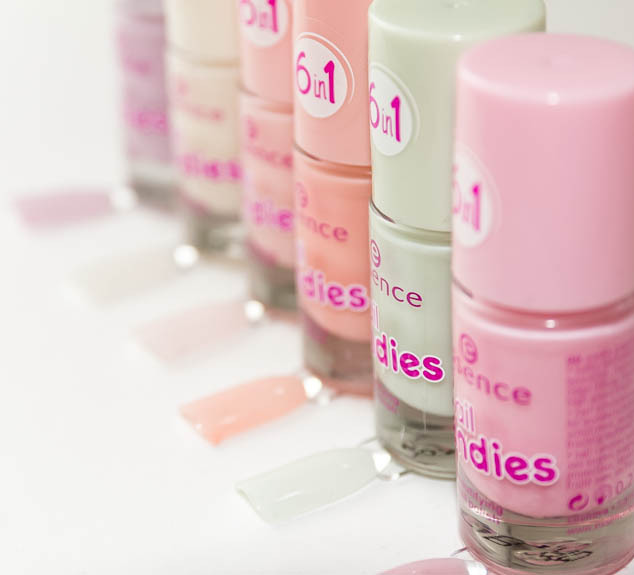 Overall Essence Nail Candies are a really cute summer nail polish range that gives fresh, clean and subtle results.